OTTAWA — International law does not require Canada to give citizenship to babies born on its soil, the federal government is telling the Supreme Court — an argument that could inadvertently bolster a recent Conservative party resolution aimed at stemming so-called birth tourism. Canada is one of fewer than three dozen countries that follow the practice of citizenship based on birthplace and some — including Australia and Britain — have modified or ended automatic birthright in recent years, the government says in a case that will determine whether the Toronto-born sons of Russian spies are Canadian citizens. "Indeed, no European countries, for example, grant an unqualified automatic citizenship by birth and they have no obligation to do so," the federal submission says. "Only 34 countries grant the automatic acquisition of citizenship through birthplace regardless of parents' nationality or status. This practice is not consistent and uniform enough to ground a rule of customary international law." The federal Liberals adopted a decidedly different tone recently after the Conservatives passed a policy resolution calling on the government to enact legislation to end birthright citizenship "unless one of the parents of the child born in Canada is a Canadian citizen or permanent resident of Canada." Conservative Leader Andrew Scheer says one of the goals is to end the practice of women coming to Canada simply to give birth to a child that will automatically attain Canadian citizenship. Refugee and human rights advocates have objected, saying there is no evidence of a birth tourism problem to solve and that the Conservative policy would open the door to stateless children being born in Canada. Mathieu Genest, a spokesman for Immigration Minister Ahmed Hussen, said following passage of the resolution that it's a "shame to see the Conservatives going back down the path established by the Harper government, which seeks to strip away the citizenship of people who have only ever known Canada as a home." Justin Trudeau's principal secretary, Gerald Butts, called the Conservative policy "a deeply wrong and disturbing idea." However, the federal submission to the Supreme Court strongly suggests the notion of automatic birthright is not carved in legal stone. It notes even those states that have chosen to grant citizenship to children born on their soil are not prohibited from applying exceptions. "A review of citizenship entitlements in various countries reveals a multitude of variations and restrictions on automatic citizenship by birth." 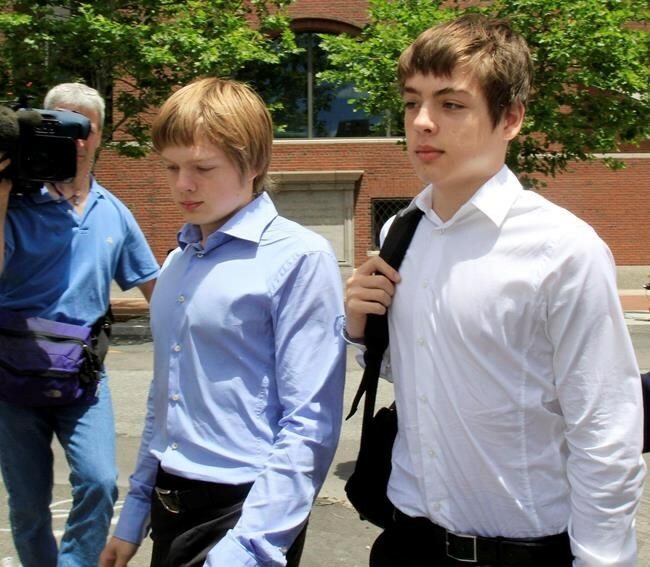 Federal lawyers play down the concept of automatic citizenship in laying out the reasons the government believes Alexander and Timothy Vavilov — the offspring of Russian intelligence agents — should not be recognized as Canadian citizens, even though they were born in Ontario. The Supreme Court will hear oral arguments in December. Central to the government's argument is that the parents were employees of a foreign government, making the boys ineligible for citizenship under an exception in the law. However, federal lawyers also address the role of birthplace in deciding citizenship. "In short, nothing in international law requires Canada to bestow citizenship on the basis of birth, much less to give citizenship to children born to parents in the service of a foreign government," the written federal submission says. Two years ago, the government took a rosier view of the concept in a formal response to a petition against birthright citizenship sponsored by Conservative MP Alice Wong. John McCallum, immigration minister at the time, pointed out that the United States and Mexico, as well as a number of other countries in the Americas, such as Brazil and Argentina, provide citizenship based on birthplace. "While there may be instances of expectant mothers who are foreign nationals who travel to Canada to give birth, requiring that a parent be a citizen or permanent resident in order for their child to acquire citizenship through birth in Canada would represent a significant change to how Canadian citizenship is acquired," McCallum added.